Yesterday I was part of a Twitter conversation, #insomnialounge. There are many of us not sleeping well. If you recall, one of the awesome things during the Whole30 was that I was sleeping better. The last few weeks have been challenging in this area, and during a time I’m attempting to crush the snake to wake up earlier! Why? So I started researching how much truth was in her statement. A lot actually. I’m not going to bore you with all that I found. I’m going to share the words Circadian Rhythms (click here for a fact sheet). The time change does throw us for a bit. Ok – so the time change probably does have something to do with my sleeping troubles. How Do I Fix It? I’ve read (and know) that establishing a “routine” or “sleep hygiene” is important to a restful night’s sleep. What you do approximately an hour or two before bed directly impacts how quickly/easily you fall asleep after going to bed. We can know this, however, until we hold ourselves accountable to act on it, we cannot expect to see any improvement in sleep. What can we do? I found some suggestions on WebMD (click here for post). I’m going to share some of those, and some others I’ve discovered myself. How to have good Sleep Hygiene. Cut out as much light as possible an hour before bedtime. In my words (without all the sciencey stuff) light triggers our brain to say “HELLO WORLD!” instead of “Goodnight Moon”. I read somewhere it isn’t just the ceiling lights, it’s the glow from a laptop, TV, tablet, and cell phone. The problem is we often have multiple devices screaming for our attention WHILE big overhead lights are on too. Our brains take time to shift gears, when we don’t give ourselves that time before bed we end up sacrificing part of our sleep time while laying awake in bed. “Great, so what do I do an hour before bed?” I hear you saying. A good book can allow you to cut the lights a little lower and still enjoy reading. Sometimes I like to knit. Sometimes I still choose to watch TV, turning the overhead light off and opting for a single lamp instead. Nights that I choose to read a book, knit or something else “non-electronic” often are nights I fall asleep easier. Engage in things that calm you. I have a “No Politics” rule at least an hour before bed. Politics get me fired up and I cannot expect to fall asleep fired up. When I’m really having trouble sleeping, I’ve also got to be more selective in what I’m watching on TV. Crime shows, action violence, or extremely dramatic and sad “everyone dies in the end” programming is not in my best interest. I’ve come to really love Top Gear on Netflix, it’s about cars, kind of funny, and doesn’t keep me up at night. I also enjoy clean stand up comedy as laughing before bed is a great way to unwind in my opinion. The same concept goes for reading material as well. Know your scents. I cannot use orange or fruit lotions before bed because they trigger my brain to “wake up!”. I have a non-scented lotion for night or I use a lavender lotion which signals “sleep” to my brain. Little things like air fresheners, sprays, and candles can actually trigger your brain into awake mode or clam it into sleep mode. Be aware of what scents trigger you and remove the “awake scents” from your bedroom. Try to not use them at least an hour before bed. Keep the bedroom your bedroom. I imagine for some this is hard, luckily, I never had more than one TV in my single years and my husband is a one-TV-in-the-house man. I’ve never had a TV in my bedroom. I also have a laptop that for several years would not charge so it had to be plugged in 24/7. For me, it meant I never bothered taking it into the bedroom so I never made that a habit. The one thing I struggle with, the cell phone. It’s my alarm clock. It’s my tablet. It’s a lot of things and I have to hold myself accountable to NOT picking it up and clicking the Pinterest app while in bed. One thing I’m going to make myself do this week – BEFORE I enter the bedroom, set my alarm and silence the ringer. Then I have no excuse to look at the phone after entering my bedroom. Simply plug it in and lay it face down on the night stand. Also – No Heavy Bedroom talk. It’s not just about not going to bed angry, it’s about not having serious discussions while laying in bed. When we do this, we turn our bedroom into a “business” room instead of a haven for sleep and romance. We also can induce intense emotions, depending on the subject matter, which will not calm us or relax us in preparation for sleep. Make sure the heavy discussions you want to have are done earlier in the day or at the very least, before entering the bedroom. Bedroom clocks – do your best to not see the time. Turn alarm clocks away from you so you can’t see the time. Why? Because if you wake up in the middle of night, seeing the time may induce anxiety preventing you from falling back asleep easily. Also, the LED lights of alarm clocks (although small) can be a “WAKE UP” trigger to the brain. This also means if you need to get up to go the bathroom, do not turn on bright lights. Invest in a small night light that will give off minimal light. (I personally am not a fan of the dark and to this day have a small night light on in our bathroom). Take a Bath. I’ve never personally been able to implement this one. I’m sure the warm water and quiet would be most relaxing, so if you are having trouble and you can make this part of your routine, go for it. Routine – Go to bed around the same time and wake up around the same time on a regular basis. This helps to establish our rhythm and will signal to our bodies when it’s time to rest and when it’s time to wake. OK. So you try these things (REALLY, not just say you tried them when you honestly didn’t make a genuine effort) and you are still having trouble falling asleep, staying asleep, etc. At this point, it’s time to possibly think about supplements. I’d encourage you to seek out your health care professional in making decisions about supplements if you have questions or concerns. *I AM NOT A HEALTH CARE PROFESSIONAL OR A DOCTOR*. I do want to take a moment to share with you the supplement I use. I stared using magnesium after reading It Starts With Food. You can search online to find information on how the body uses magnesium and how magnesium and sleep are related to one another. (You can click here and here for two samples of some of what I came across). I personally take TwinLab Magnesium Caps, 400mg because it’s what I could easily find in my grocery store. The book recommended Natural Calm, which from my understanding is a powder dissolved in water that you drink before bedtime. I take my capsule with a glass of water about 30 minutes before bedtime. The book also recommended you can take an Epsom Salt bath with about two cups of Epsom Salts, your skin will absorb the magnesium. (If you are able to take a bath as part of your sleep hygiene, you could knock out two birds with one stone here). IMPORTANT NOTICE – Too much magnesium will have a laxative effect. This is a situation where more is not merrier. I personally had no problems with the 400mg, which is right in the middle of the 200mg to 600mg the book recommends taking. Again, I AM NOT A DOCTOR, so do your research and talk with your health care professional about this option and others and to check if you have a potential magnesium deficiency. (I’m not going into detail about melatonin because it’s fairly common knowledge now, since I’ve been taking the magnesium I don’t take melatonin. I feel the magnesium helped more with not only falling asleep, but also with staying asleep without as many wake ups). Back to the accountability part – I realized last night I’ve NOT been taking my magnesium supplement for about a week. Oops. If you are sick, you need more sleep. Women having their “hormonal week” or in menopause need more sleep. Growing children need more during growth spurts. We know most of us are NOT getting enough sleep. Some of us (a rare few) are actually getting TOO much sleep. Why are either of these a problem? On the other hand, some research has found that long sleep durations (nine hours or more) are also associated with increased morbidity (illness, accidents) and mortality (death). Researchers describe this relationship as a “U shaped” curve (see illustration) where both sleeping too little and sleeping too much may put you at risk. ~From the National Sleep Foundation, click here for full article. We need sleep. NEED sleep. It’s not an option and it’s not a luxury, it’s a basic need. It’s a reminder we are the created, not the Creator as C.J. Mahaney points out in his book Humility: True Greatness. Sleep is a reminder we are dependent creatures, dependent on God’s gift of sleep to us as a time of absolute and complete rest. We often sacrifice sleep saying things like “I can’t go to bed any earlier, I wont’ get XYZ done”. The reality is, if we were consistently getting adequate sleep, we would have more energy and more alertness and would get more accomplished during our waking hours than we do stumbling sleep-deprived through the day. My challenge this week is to hold myself accountable to fully accept the gift of sleep. If you are also struggling and have found yourself visiting the #insomnialounge, I encourage you to join me in visiting the #wellrested lounge instead! (I made some of the changes last night and I slept better than I have all week!) Let’s accept the precious and wonderful gift of sleep for our health and wellness. 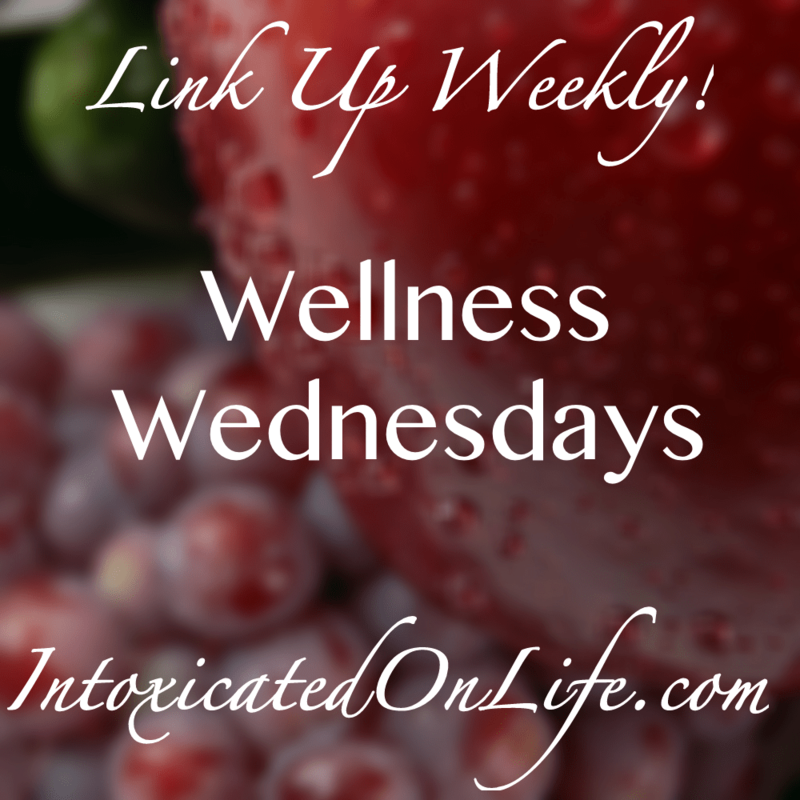 This post is being linked up with IntoxicatedOnLife for Wellness Wednesday and will also be linked up on MustLoveGod for CMA. Thanks for sharing these great tips. This is an area where I *really* must do better! Sigh! Found you at the Intoxicated on Life link up. In all seriousness, it’s the blue light in our lights, computers, TV’s, ect. that stops our bodies from producing melatonin. You may consider investing in some red light-bulbs for lamps you use in the evening and a small nightlight with a red (or orange) bulb. We’ve done this and have a few lamps strategically placed throughout the house. We try to get the lights off as early as we can. It’s helped our kids wind down easier in the evening! I need to get more sleep, I’ve been really slacking at getting into bed early enough. I also need to step away from the glow of my computer/phone and read a book! Awesome post. Thank you! I hope you are able to pull away from the electronics and find some better winding down time to rest! I’m sure many of us suffer with that, at least, I know I do! This is a great post with lots of food for thought. I tend to not think about these things until it is the middle of the night, I’ve woken up, and can’t fall back to sleep. LOL. Thanks for the post! I know right! Thank you for your kind words, hopefully, I’ll be able to consistently put these things into practice myself instead of thinking about them in the middle of the night!